If you’re visiting Sicily with kids, no doubt you’ll be spending a fair bit of time at the beach. As with many Mediterranean islands, the beaches in Sicily are never far from an historical city or an ancient ruin so you’re able to slip a bit of culture under your children’s unsuspecting radar. And whether you’re after miles of soft white sand, sleepy fishing villages, volcanic rocks to kayak past or a people-watching resort, you’ll find everything you need in Sicily. 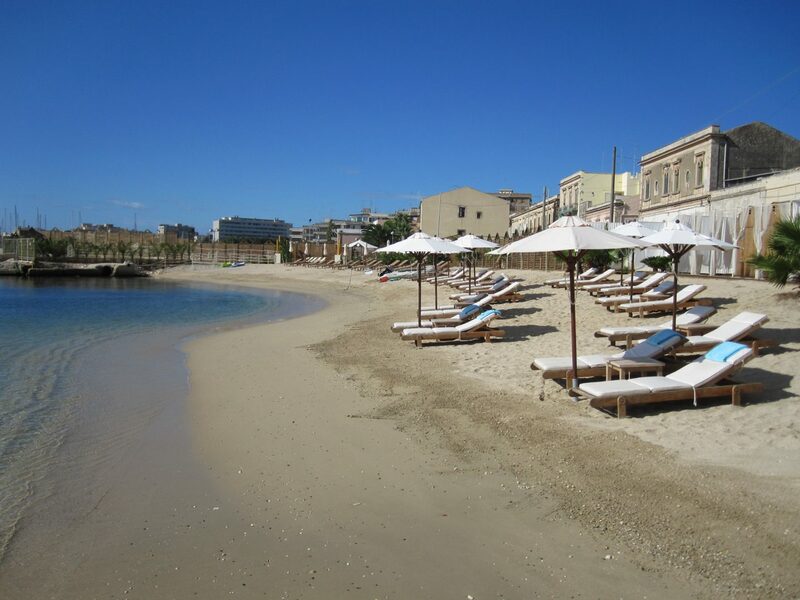 As with mainland Italy, most of the beaches in Sicily have beach clubs in the high season which offer sunbeds and umbrellas for hire. I used to avoid this kind of set up in my youth but now I have small children I think the ten or so Euros is money well spent for a bit of shade when the temperature heads towards 40 degrees. However, if you’re made of stronger stuff there is usually a stretch of public beach where you can throw your towel on the sand at no cost. Beaches in Sicily can be divided into three categories. 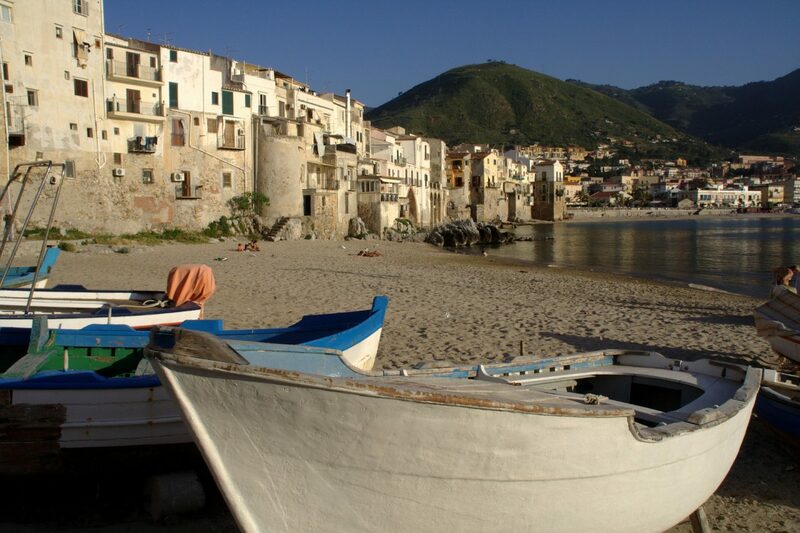 Firstly, you have beaches which are situated directly next to a town, such as Cefalu or Taormina. These beaches are a great bet if you’re travelling outside the main summer months as they will always have a good atmosphere and facilities should be up and running for much of the year. 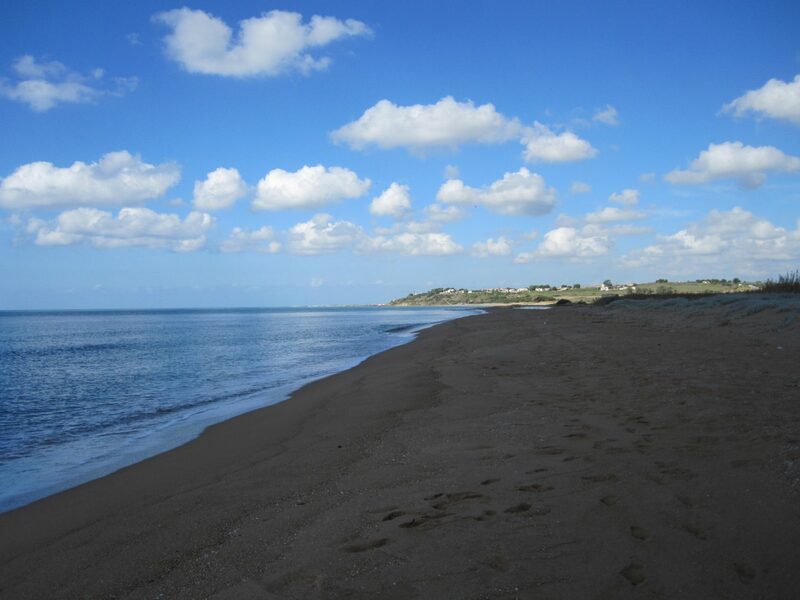 Secondly, there are beach resorts such as San Leone near Agrigento or Sampieri near Scicli. These beaches are frequented by locals from nearby towns in the height of summer. They’ll be packed and lively with plenty of beach clubs, bars and restaurants to choose from. However, by September they are deserted and, without the people to fill the space and with shutters over the seasonal businesses, they often appear quite unattractive. 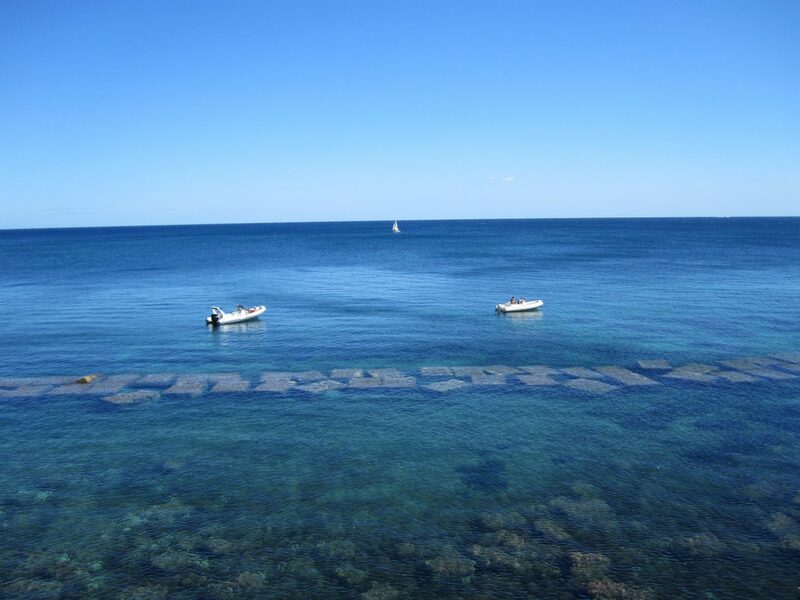 Finally, there are several nature reserves in Sicily including Vendicari in the east and Torre Salsa on the south coast, if you seek solitude and a natural landscape, these are the beaches to head for. Unless you opt for somewhere like Cefalu or Taormina, I’d recommend hiring a car to explore Sicily’s coast, many of the beaches are secluded or tricky to reach by public transport. 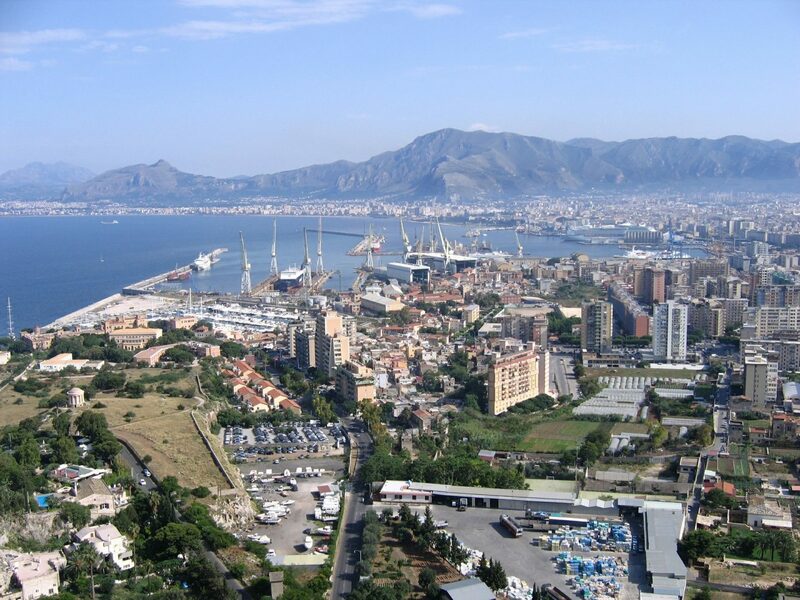 Hot, dirty and chaotic, Palermo isn’t everyone’s cup of tea. However, if you go searching, you’ll discover elegant architecture, bustling street markets and atmospheric restaurants which spill on to the streets at night. If you’re keen to explore Palermo and nearby Monreale with its incredible mosaic-filled Norman cathedral, there are several bases worth considering. Cefalu, with its sweep of golden sand is an obvious choice if you’re travelling with kids. 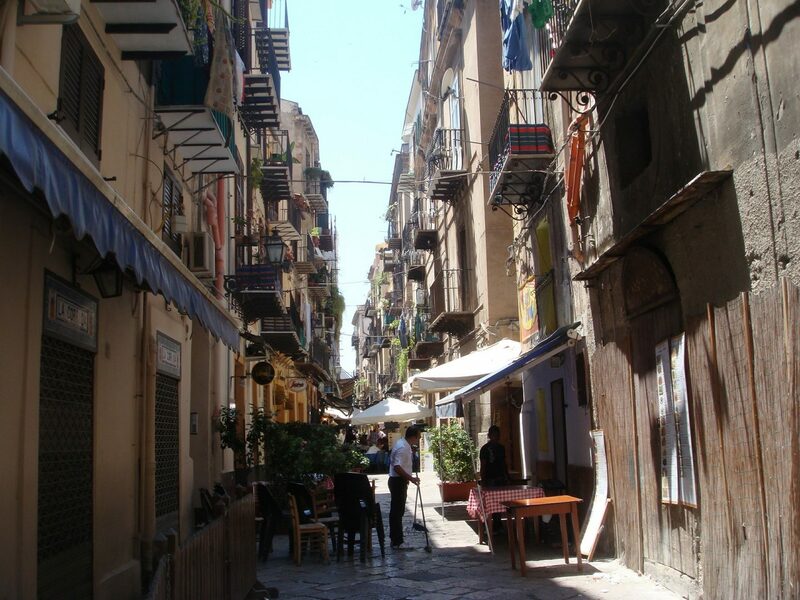 The beach is backed by an appealing warren of medieval streets and there’s a direct train into Palermo. Cefalu is a popular spot but there are quieter beaches along the coast to explore if you’re visiting in high season; I’ve heard good things about Salinelle to the west of Cefalu and Sant’Ambrogio to the east. 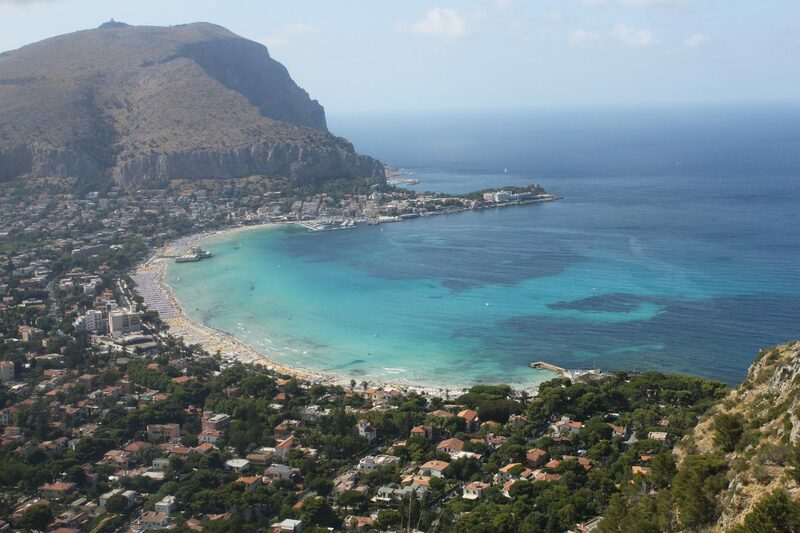 If you’re travelling with older children and you’re keen to stay in Palermo, it’s easy to hop on a bus and escape to the sandy beach at Mondello, a popular Liberty-era resort just 15km from the capital. Be warned, Mondello is packed at the weekends, but arguably that’s part of the fun, particularly if you like people watching. Cefalu and Palermo are the obvious draws of Sicily’s north coast but head east from Cefalu and you’ll discover an endless supply of small and authentic beach resorts. The next big resort, some 90km from Cefalu is Capo d’Orlando. It’s not as attractive as Cefalu but it has a long sweep of sand so it’s a good option for young families. For your scenically placed ancient ruin fix, 30km east from Capo d’Orlando is Tyndaris, a mix of Greek and Roman remains including a well-preserved amphitheatre, baths and mosaics overlooking the Tyrrhenian Sea. 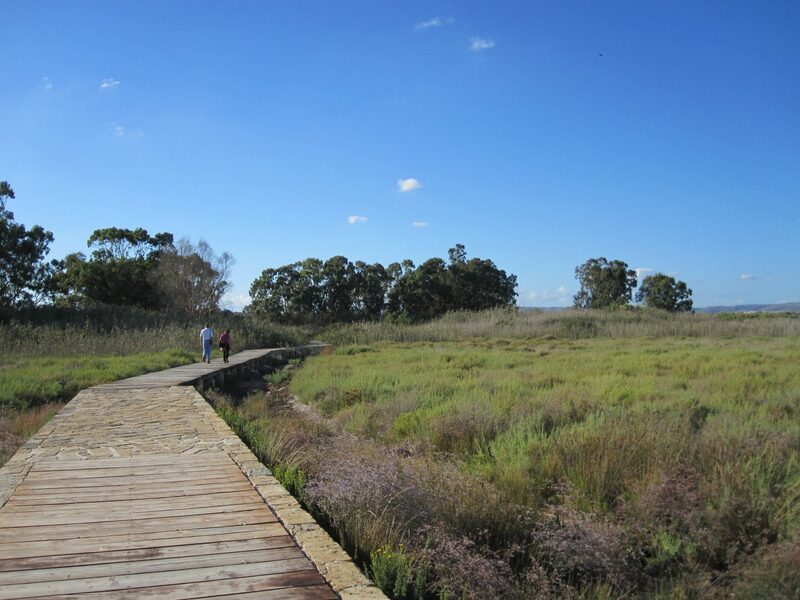 Below Tyndaris is the Marinello nature reserve which features narrow strips of sand separating saltwater lakes, a very inviting spot for a swim. Despite the constant crowds, it’s impossible to be disappointed by Taormina. 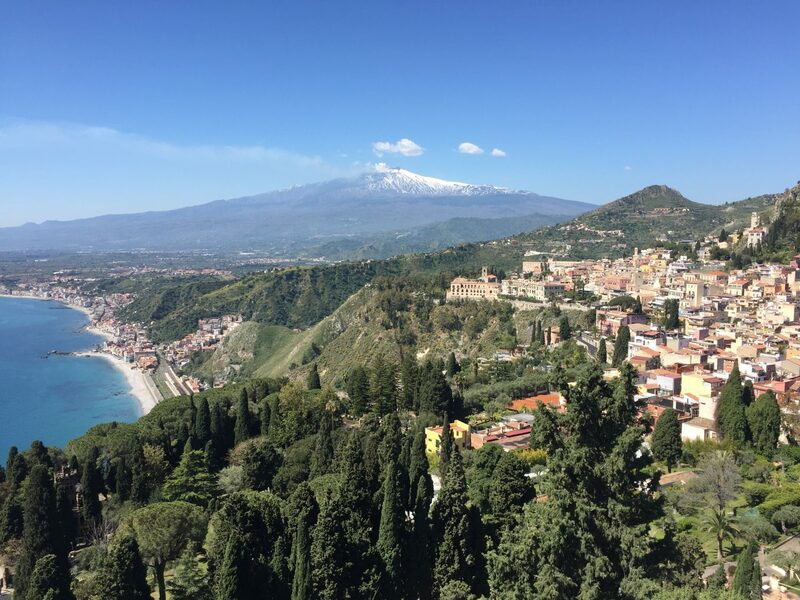 Perched high above the Ionian Sea, Taormina has delightful car-free streets, an impressively positioned Greek amphitheatre and an amazing view of Mt Etna. A five minute cable car or bus trip down the hill will bring you to the pebbly beach of Mazzaro and Isola Bella. The water is lovely and clear and perfect for swimming (I managed a dip in April, it was chilly). 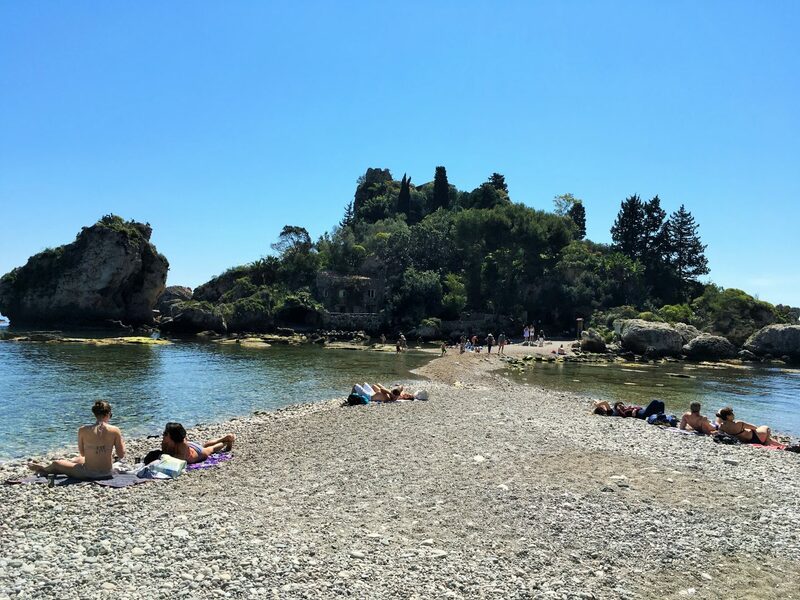 Taormina is pricey so if you’d prefer to save a few pennies and stay somewhere with a sandy beach, head 6km north to Letjanni (coarse sand) or 12km south to the popular resort of Giardini Naxos where you’ll find a mix of sand and pebbles. There are regular buses and trains if you want to explore this section of coast without a car. As with Palermo, expect traffic and chaos in Catania but also charm and character. 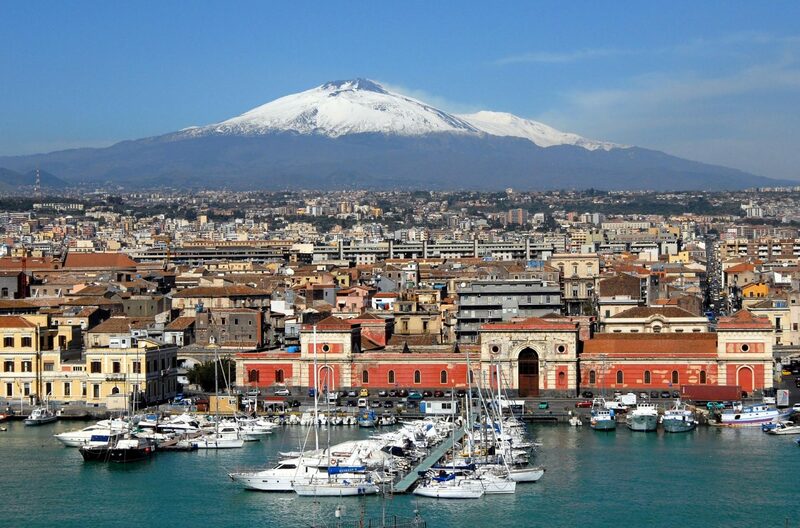 Thanks to an earthquake and several eruptions from nearby Mt Etna, Catania was rebuilt in the Sicilian Baroque style in the 18th century so it has a certain elegance amid the disorder. There are one or two stretches of sand around Catania but otherwise the coast is predominantly rocky. 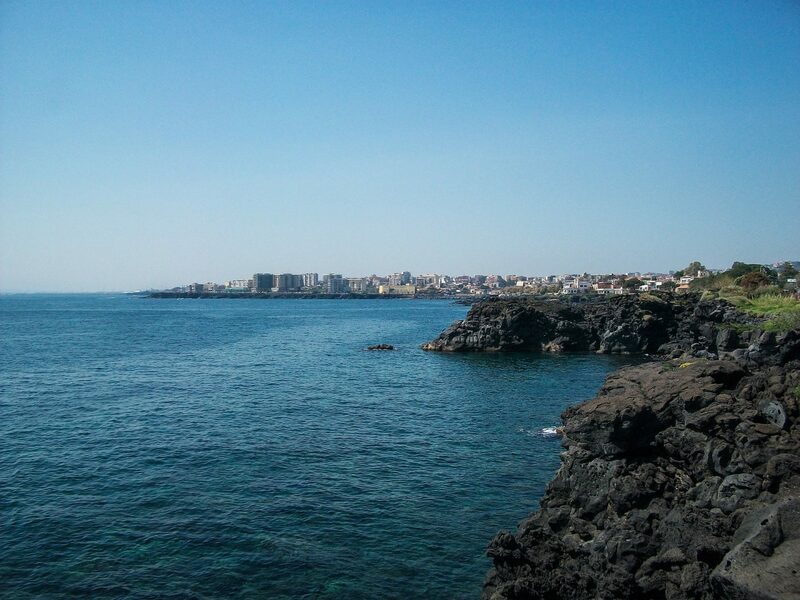 Those with an interest in Greek mythology will no doubt enjoy exploring the volcanic Riviera dei Ciclopi north of Catania. The huge rocks jutting out of the sea are said to have been hurled at Odysseus by the enraged cyclops he blinded. This is a good place for kayaking and snorkelling as there are caves to explore and clear waters to investigate. There is a series of appealing resorts and fishing villages along this stretch of coast including castle-topped Aci Castello and Acireale, home to Sicily’s most famous carnival. 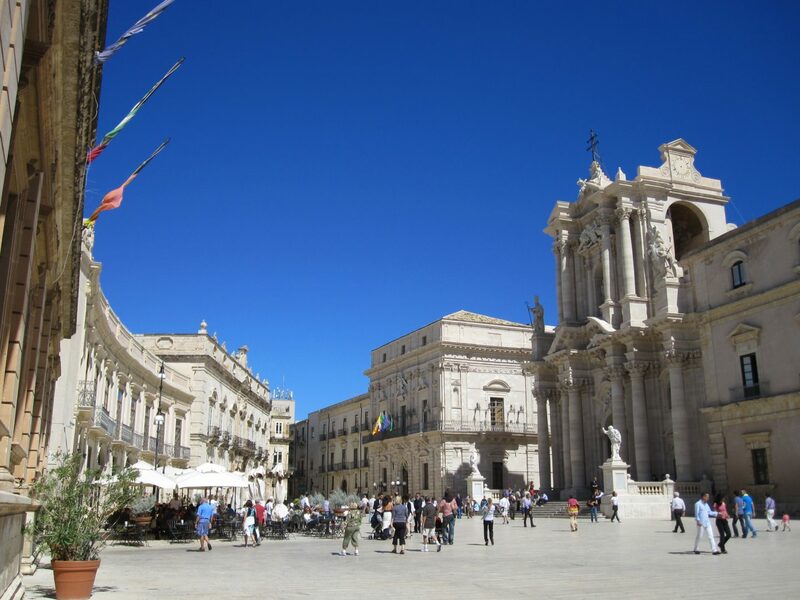 Syracuse is my favourite city in Sicily, it’s where I took my family for their first experience of the island. Almost completely surrounded by turquoise waters, its historic heart is diminutive Ortigia, a maze of medieval alleyways with the Piazza del Duomo at its heart. Its Baroque cathedral features elements of the city’s ancient Greek, Arab and Norman past, allowing you to take in over 2,000 years of history whilst enjoying a lemon granita in one of the piazza’s cafes. Aside from dipping your toes in the sea directly below the city’s walls, for beach excursions you should head to the long stretch of sand at Fontane Bianche just 15km away which is perfect for young families. If your children are happy to walk, try the beaches at the Vendicari Nature Reserve, 40 minutes away, close to the town of Noto (where we had a particularly delicious lunch at Trattoria al Buco). If you’re visiting Noto with toddlers, San Lorenzo beach, a mix of sand and rock, is next to the nature reserve and has facilities which the reserve lacks. As with Syracuse and Noto, the towns of Modica, Ragusa and Scicli are perfect for a morning of exploring combined with an afternoon at the seaside. Modica is my favourite: the main street follows the course of a riverbed with narrow lanes zigzagging up the steep slopes on either side (not one for toddlers or buggies). My children preferred Ragusa which has a particularly good playground in Giardini Iblei. 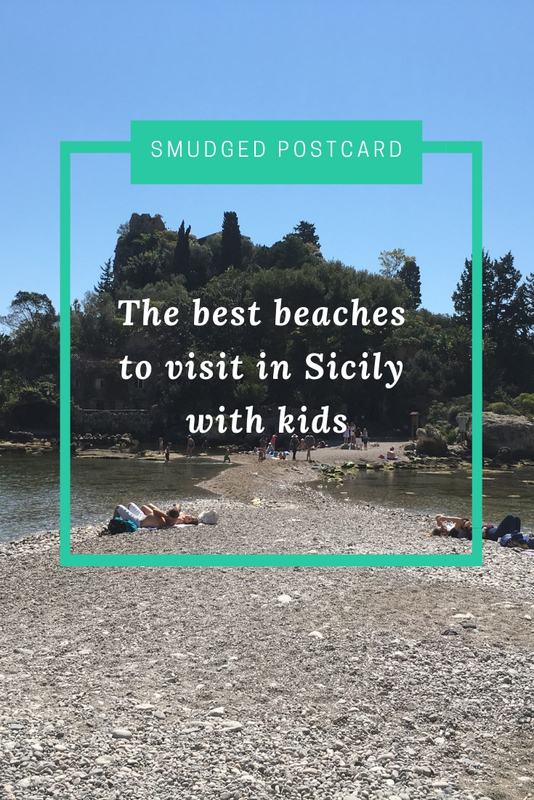 We enjoyed several hours at Sampieri beach, near Modica, but you’ll find all of the coastline here is perfect for young children: mile upon mile of sand. The stretch of coast west of the Val di Noto doesn’t get much tourist attention but there’s a few areas worth exploring. 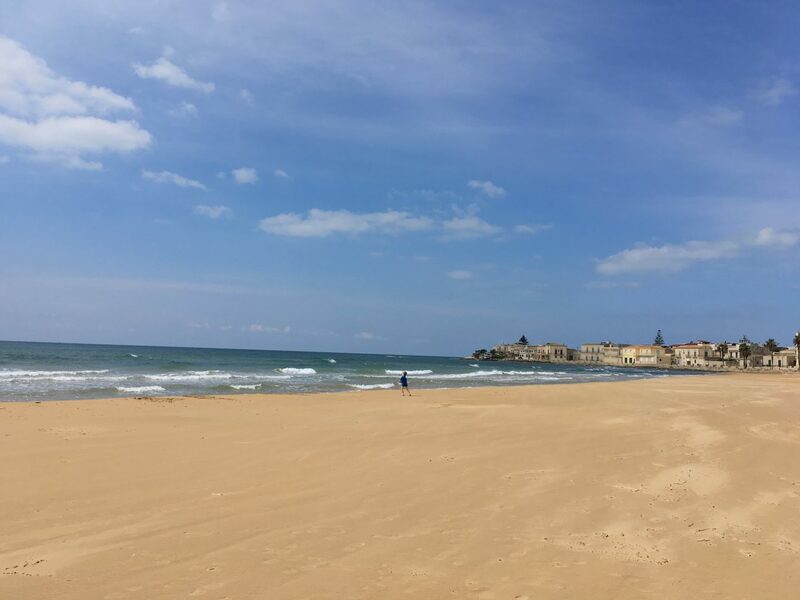 I quite fancy visiting the historic port town of Licata, which features a picturesque beach at Marianello along with a Michelin-starred restaurant, La Madia, in the town centre. Just to the east of Licata is a perfect spot for any budding knights or princesses: an arc of sand overlooked by the romantic Castello di Falconara. 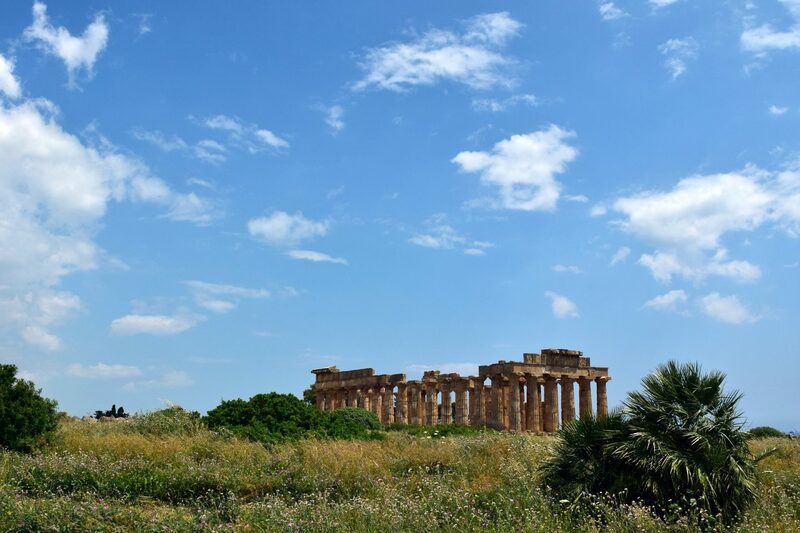 Some 45km west of Licata, the Valley of the Temples at Agrigento is the big draw of the south coast. 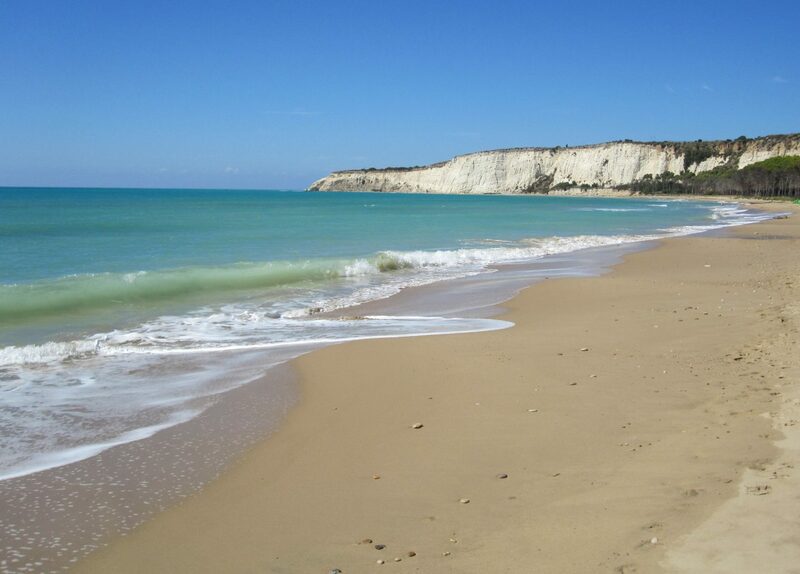 Close by is a beach to rival this World Heritage Site – the Scala dei Turchi. 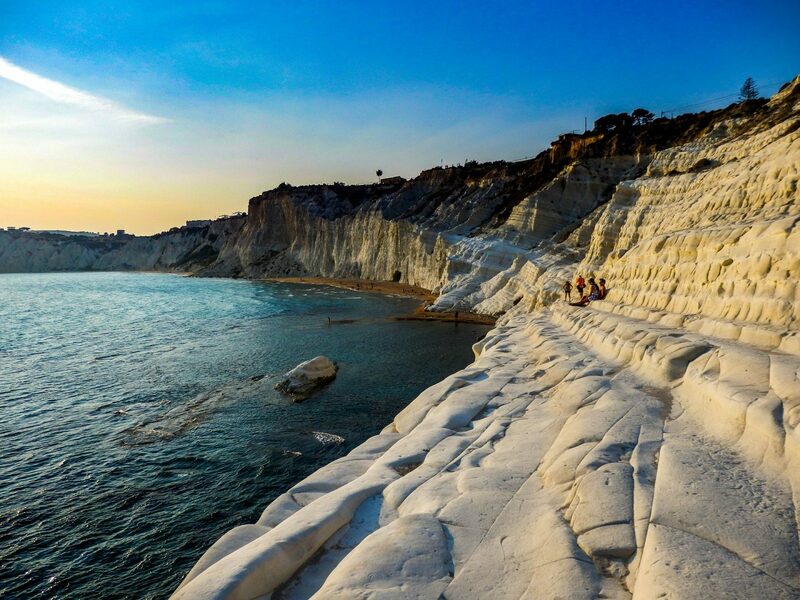 Possibly named after Turkish pirates, the Scala dei Turchi is a stretch of glowing white limestone carved into giant steps above the contrasting blue sea. You can sunbathe on the rocks or head to the sandy beach below. If you’ve spent the morning exploring the Greek temples in the intense heat, this beach is the perfect reward. I loved it. If you’re travelling with very young children, you might be safer heading to Agrigento’s local beach resort, San Leone, where you’ll find the usual Italian beach facilities in abundance. If Italian beach clubs and regimented sunbeds are not your thing, the Torre Salsa nature reserve has miles of untouched sandy coastline. If you’re travelling with small children who might need access to some facilities, the beach near the Greek ruins of Eraclea Minoa is also a good option. It was empty when I visited in September one year but the adjoining restaurant was open. The beach is backed by eucalyptus trees and chalky cliffs. As with Licata, I’m keen to visit the port town of Sciacca with its medieval centre and good choice of seafood restaurants. It’s also home to an impressive carnival and some reputedly powerful thermal waters which make the town a popular spa destination. 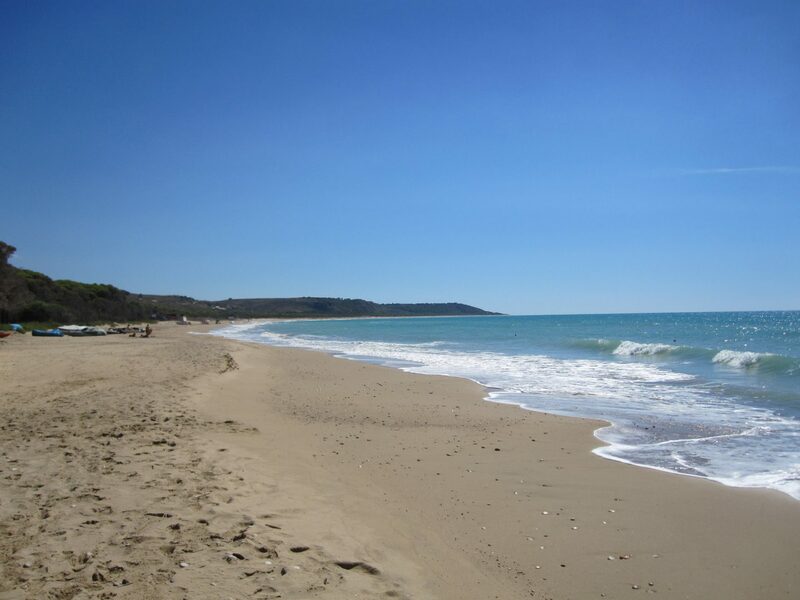 There are good sandy beaches either side of Sciacca including Sovareto and Porto Palo. If you’re travelling with older children, a stay at nearby La Foresteria Planeta Estate, is well worth considering. The scenery, the food and of course the wine, are fantastic. As mentioned previously, Sicily does a good line in picturesquely placed ancient ruins. And those at Selinunte, overlooking the sea, are hard to beat. 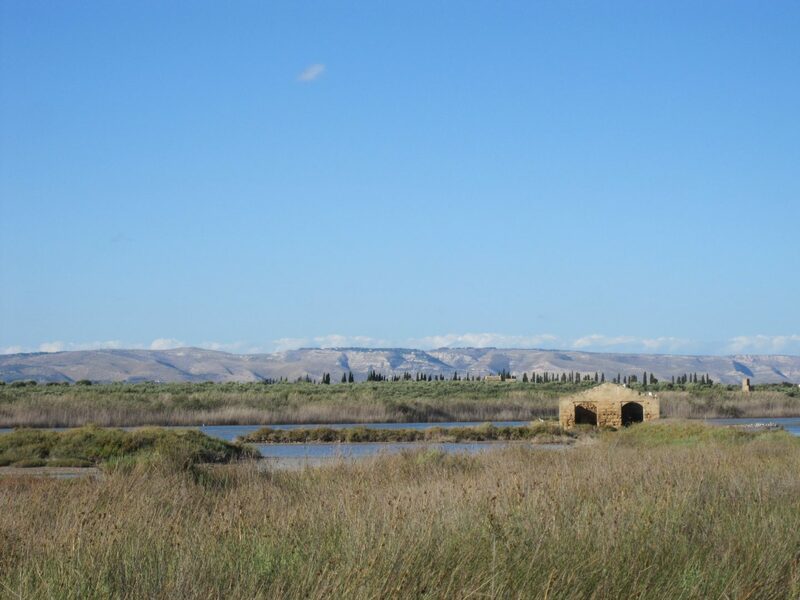 This collection of Greek temples around 40km west of Sciacca, dating back some 2,500 years, is surrounded by fields filled with wild flowers and several sandy beaches are close by including the fishing village of Marinella and the nature reserve of Foce Belice. If you prefer to learn about Sicily’s immense history through its food, western Sicily is worth your attention. Expect north African-influenced architecture and cuisine in the port of Mazara del Vallo, one of the first Sicilian towns to be invaded by Arab forces and today home to a large Tunisian population who come to work on the fishing boats. There is an excellent beach, Tonnarella, close by, to escape to once you’ve explored the port’s warren of alleyways and sampled a dish of Sicilian couscous. Head north from Mazara del Vallo and you’ll soon reach Marsala, an attractive town famed for its sweet wine. From Marsala, or nearby Trapani, you can hop on a hydrofoil to the Egadi Islands, which unlike the Aeolian Isles, are an easy day trip. Expect rocky coastlines, crystal clear waters (the area is a marine reserve) and a markedly slower pace than mainland Sicily. I’m really keen to visit these islands on my next trip to Sicily. 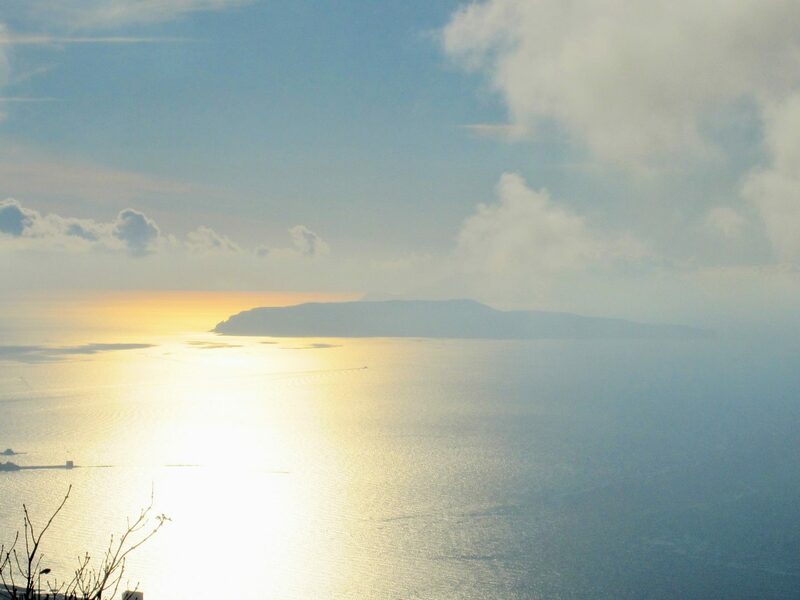 Back on the mainland of Sicily, you’ll get a fabulous view of Trapani and its salt pools and windmills from the lofty medieval town of Erice, 750m above sea level. Pretty Erice is reached via a seemingly unending series of hairpin bends (does Italy offer the best in hair-raising road trips?) 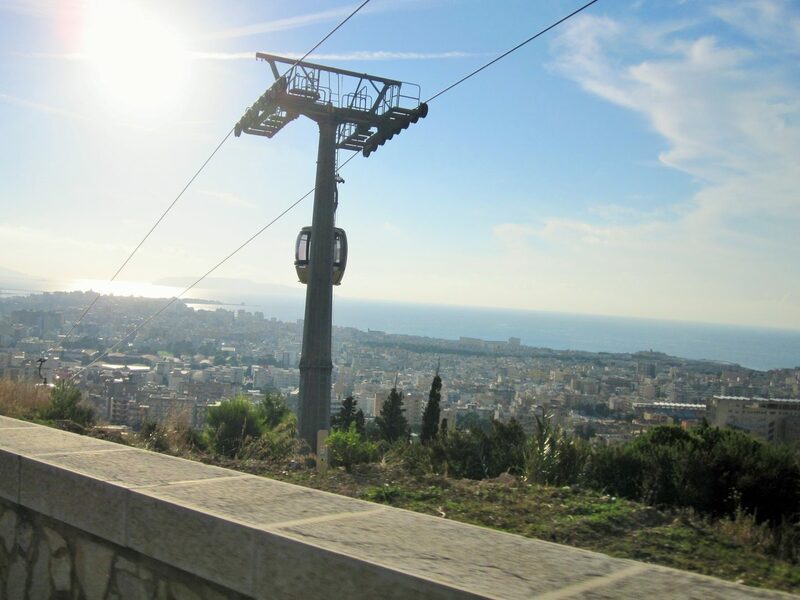 or a cable car ride up from Trapani. On the north west tip of Sicily is the beautiful arc of San Vito lo Capo with Monte Monaco rising some 500m from the sea. If you have children that can be popped into a carrier, or kids old enough to enjoy a coastal hike, the Zingaro Nature Reserve adjoining San Vito and wending its way south to the pretty resort of Scopello, is well worth a visit. To avoid extreme heat and hordes of visitors, it’s best to avoid San Vito and the Zingaro reserve in August. You’d be surprised what a difference a visit in July can make. 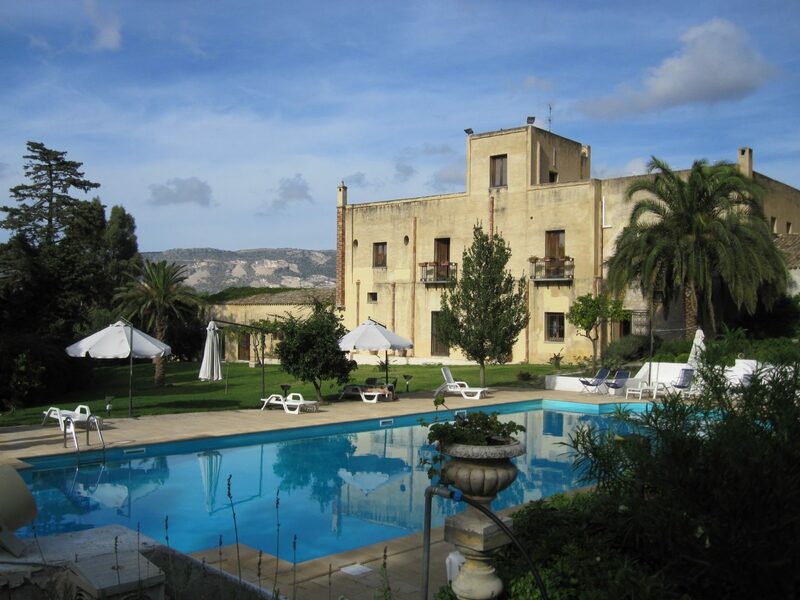 If you’re unsure where to stay when you visit Sicily, I would recommend booking into an agriturismo. Many of them feature self-catering apartments, locally sourced food in their restaurants plus a swimming pool and play area for the kids. They’re usually pretty reasonably priced too. There are plenty of agriturismos located just a short drive from beaches in Sicily. Have you visited Sicily? 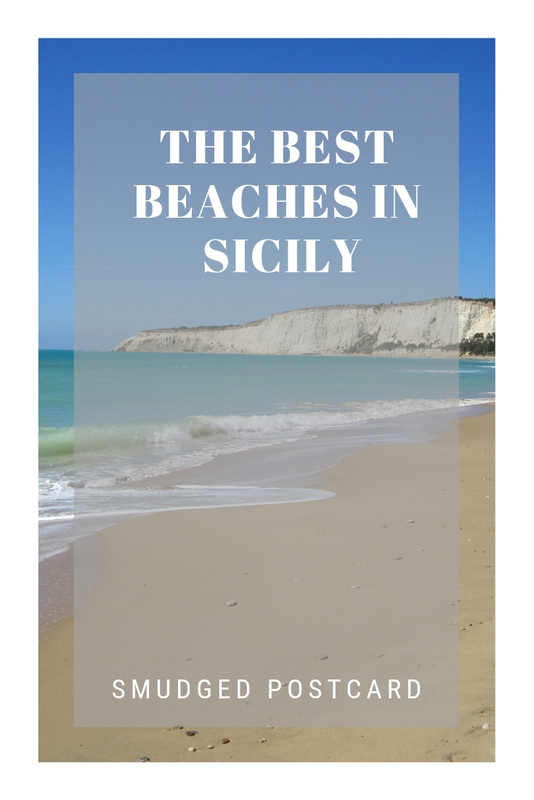 Where was your favourite beach in Sicily? Let me know in the comments below. I’d love to go back to the south coast in August to see it when everyone is at the beach, I’ve only visited in April and September! 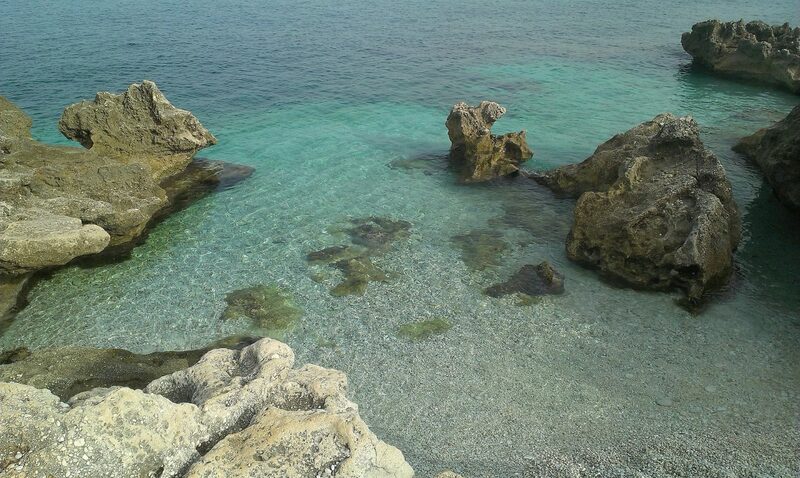 I am a beach person and seeing your pictures made me think that Sicily has the best beaches. I haven’t explore Siclily yet but I am definitely adding it as my ultimate summer destination! This looks great. 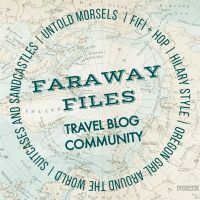 I never really thought of Sicily as a beach holiday, but your article has me inspired to check it out. How was the food? – was it geared towards tourists or could you find something a little more authentic? The food was great, there are probably more Italian tourists than foreign tourists outside of the main resorts of Taormina and Cefalu. Yes, Cefalu is a great destination for a family holiday. Thanks Clare, I wouldn’t made being on a Sicilian beach right now! Thanks. I hope you get to visit some time! That’s a tricky question! I think it’s fun to visit a few places but if I had to pick just one I’d probably choose Syracuse as it’s such a beautiful place. There’s so much history. It has tons of restaurants which I’d love to sample, great places to stay and some good beaches close by. I’ve written a post about visiting Syracuse with kids and another on exploring eastern Sicily. It’s such a brilliant island! It is truly fascinating. I have a list of places I still want to explore, it’s such a big island. Scala dei Turchi is wonderful. I haven’t been there for over 20 years so I think I’m due a return visit! I have not been to Sicily, but it looks lovely. So many nice beaches, I didn’t realize. I would also love to go on the cable car and try some of that sweet wine! Thanks for sharing on #TheWeeklyPostcard. Well, you’re in for a treat! The history in Sicily is amazing and there are so many well preserved sites. I recommend taking a Blue Guide book. They’re particularly informative. It really is a brilliant island, so much to see and do. I’ll look forward to reading about your Tuscan adventures! I like the sound of the mixed influences of Mazara del Vallo. Or the blue waters of Syracuse. Or the car-free streets of Taormina. It all sounds amazing! I’m really keen to return too, there’s just so much to take in! Isola Bella is lovely, we’d definitely like to return to Taormina. I’ve yet to visit Sardinia, I think the beaches are even more impressive there. But I think Sicily wins hands down for history and culture! Yes, I’m starting to think maybe I should have booked another trip there this summer! You must! After writing the post I’m dying to return! Head inland too, I loved Caltagirone and Enna. The whole island is so fascinating. It’s a perfect place for a family holiday: beach, pizza and ice cream! 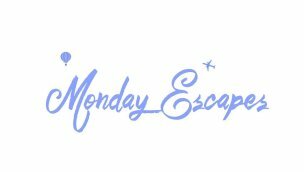 Can you believe that one of our most disappointing holidays was to Sicily? We were unlucky with our campsite and the time of year – we wrongly assumed that Easter would be sunny and it rained nonstop! Your post and gorgeous photos have made me realise that we MUST get back and will be using all your tips. I love combining the towns and the beach, there’s so many to choose from! Great! It really is a brilliant place to visit, for any age and at any time of year. I can’t wait to return. It’s such an amazing island and so often over shadowed by the other southern Med options like Malta and Cyprus. Go at easter! It’s perfect then. Thanks! Yes, Sicily is perfect for combining culture and beach, I can’t wait to return with my kids.